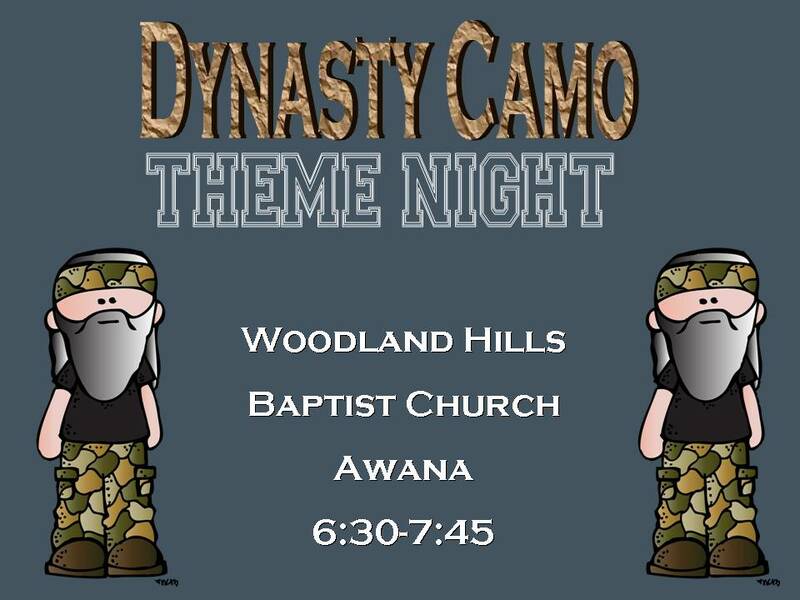 April 24th is "Camouflage" night at Awana! AWANA is our mid week children's program. AWANA stands for Approved Workmen Are Not Ashamed. This comes from the scripture: 1 Timothy 2:15, "Do your best to present yourself to God as one approved, a worker who does not need to be ashamed and who correctly handles the word of truth." AWANA is Christ centered, with a focus on memorizing scripture. During AWANA your child will have so much fun during our exciting game time. They will learn so much about the truth of God's Word during our bible time. They will hide God's Word in their hearts during our scripture memory time. There is a different fun and silly theme each week. Come join us! There is something for each age group!